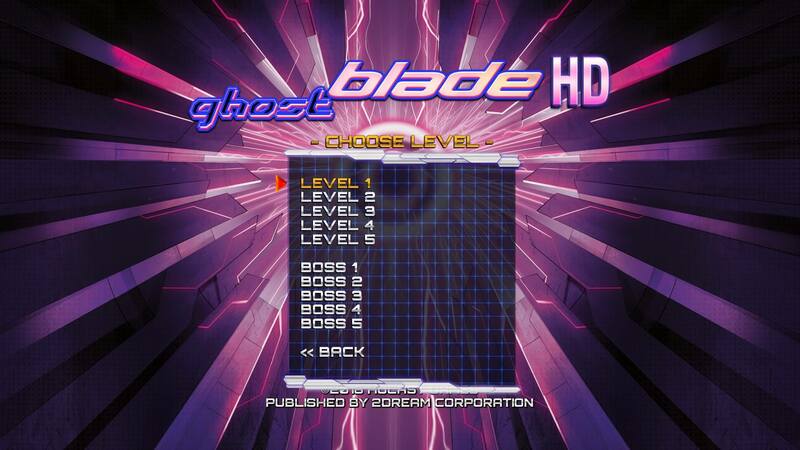 Back in May of this year, we reviewed the Wii-U release of the updated Dreamcast bullet hell shooter, Ghost Blade HD. So it’s a worthy question to ask why, three months later, we would choose to review this title again. Well, the first answer to that question is that this is the PlayStation 4 version of the game. 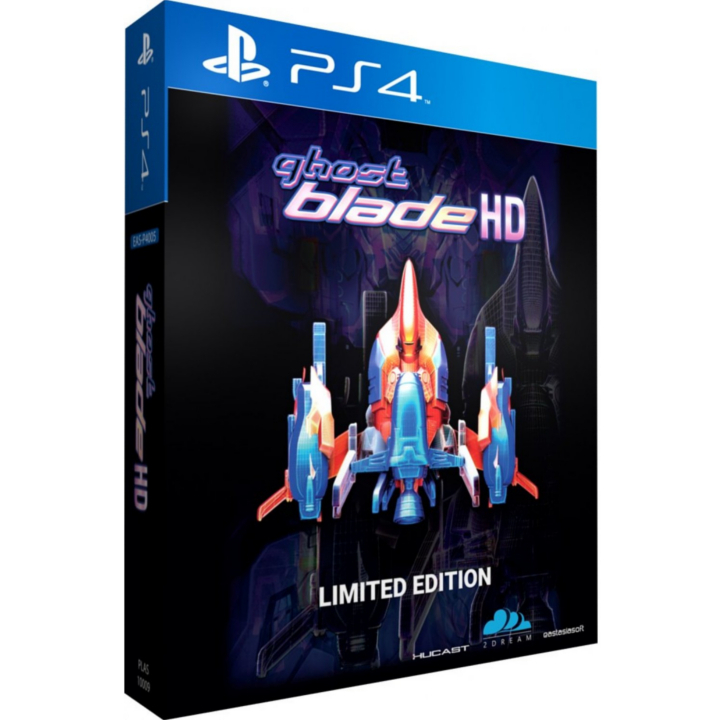 But most of all, as you can see by the above cover image and release date, this is not the digital version of the game that was initially released, it is the physical Limited Edition released recently exclusively by Play-Asia.com. So first I’ll talk about my general opinions on the game and how they may differ from the review by Justin. There will not be many differences between the PS4 game and the Wii-U, but after I briefly talk about that, the rest of the review will be about what is contained in the Limited Edition that may justify the extra price and importing. Not a lot of options, or bonus features, but that’s not always a bad thing. As discussed in the previous review, this is a game that was a loving homage to the bullet hell shooters coming out of Japan. In fact, if you did not know ahead of time, it can be a bit of a shock to see the European names during the credits instead of Japanese names. That is a testament to how accurate this homage was to the spirit of those previous games. In fact, as this region 3 release shows, this is a game that was good enough to be imported to Japan. 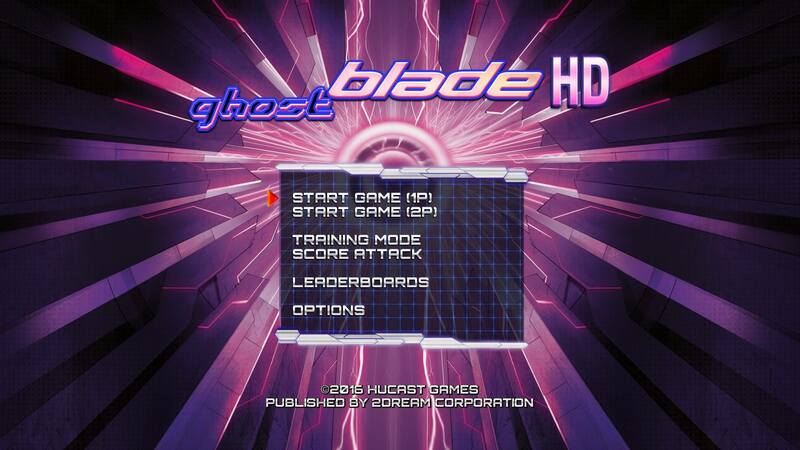 It’s fairly light on the features, featuring only the normal Arcade Mode (1 or 2 players), Training Mode, and a very simple Score Attack. Even though the Score Attack is very rudimentary, the Training Mode is actually a lot nicer than most other games in this genre. Not only do they give you the ability to start at any stage you want (out of the 5 total), but they also allow you to go right to any of the 5 bosses in order to practice on them. Training Mode is much more useful than many other bullet hell shooters. Overall I generally agree with the review we previously posted about this game, it is solid but does not really break any major new ground in the genre. However, I would have probably reviewed it slightly higher, probably a 4.0 out of 5.0, if it was me. I don’t really think that every game needs to bring some new mechanic or twist on genre conventions. And this game has enough of its own style with the enemy designs and particularly the music that I ended up really enjoying it. One feature that could be either a positive or a negative is that this is actually an easier game than most bullet hell shooters out of Japan are. Increasing the difficulty is more about your ship not automatically using bombs to avoid damage and how much damage the enemies need to take before destruction than it is about large changes in bullet patterns like Cave typically does. But I would also say that this game has some of the more memorable music for a space shooter out there, and the slightly reduced difficulty makes it a little bit more of just a fun game to sit down and enjoy casually. The game certainly doesn’t push the PS4’s capabilities, but it still looks nice. Having not played the Wii-U version of the game myself, I cannot be too sure that there were any major changes with the content of the game. I’m pretty sure that it has both soundtracks included and has the same language options, screen options, and wallpaper options. There is one thing that I’m absolutely certain of though, having seen both in action via captured footage, the PlayStation 4 version of the game is significantly more pretty than the Wii-U version. 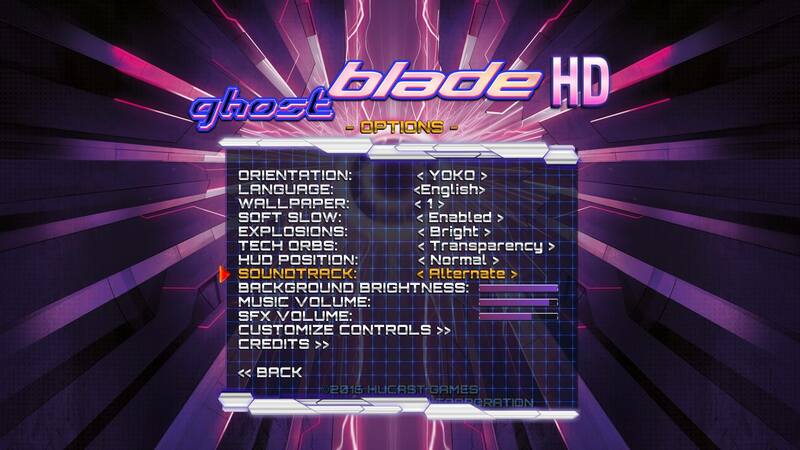 Obviously, the PlayStation 4 is a lot more powerful of a machine than the other, but the 1080p resolution really does a lot more justice to the effort that this team made in updating the original Dreamcast version of Ghost Blade. For that alone, if you have both a Wii-U and a PlayStation 4 it should come as no surprise that I would strongly recommend the PlayStation 4 version instead. 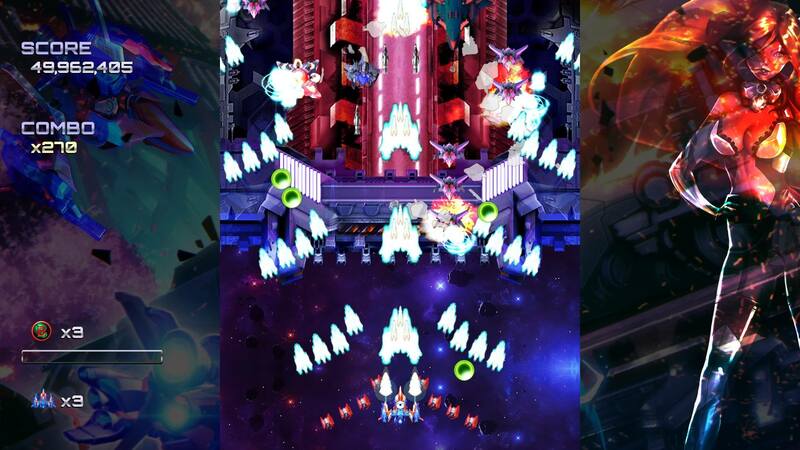 Physical copies of space shooters are rare, but especially Limited Editions. The real meat of the re-review is regarding whether this Limited Edition justifies the extra price. The digital version of the game sells for $9.99, but this exclusive physical version sells for $29.99. The low price of the digital version is a good deal, even with how relatively short the game is. True, bullet hell shooters are a genre that is known for having very short experiences. But the point is that the original price is in keeping with the amount of content you are receiving. Of course, that changes when you charge 3 times that amount for the Limited Edition. But for that price you get the game on disc, a reversible cover for the case, a limited edition embossed card, 3 pages of stickers featuring the game characters and ships, and most of all a full 14 song (50min) soundtrack to the game. I would not underestimate the value of having the disc, this late in the console cycle more people are coming up against the fact that they are having to delete old games on their PlayStation 4 to make room for new games. Having this game on disc allows you to just delete the local copy any time you want and rapidly reinstall it. Even on an original PlayStation 4 (not the Pro) it only took a couple seconds for the game to install, that is a whole lot quicker than it would have taken me to download the game. Plus the entire packaging of the Limited Edition is really nice to have on your shelf if you are a collector. Both the Normal and the Alternate soundtrack are really good and have a lot of variety. But as I said, the soundtrack is the main draw to having this Limited Edition. The space shooter genre, in general, has had some pretty stellar soundtracks across many different series and developers. But it’s really nice to hear a European take on the music and certainly, electronica has been a huge part of the music scene in Europe for a very long time. So it was really no surprise that when it came time for their take on this genre that the music would be a real standout. While the game is very short and will only take about an hour to beat, you will get more replay value out of the global leader boards and just listening to the soundtrack in your spare time. 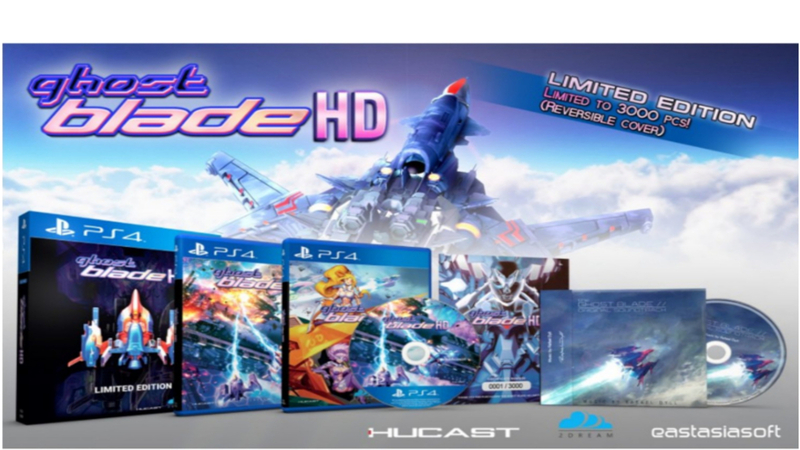 Yes, the $29.99 price is a bit expensive for a small game, but really these Limited Editions for space shooters almost never happen, so it was no surprise that Play-Asia immediately sold out of their limited run of copies. But if you happen to find one out in the wild, or if Eastasiasoft and Play-Asia decide to do another run of this Limited Edition, I would strongly recommend it for genre fans. Chances are, it’s going to be the only bullet hell shooter that you are going to have physically on your shelf for all to salivate over. Review Copy Provided By Play-Asia use our affiliate link below to find some great games!